Bak Full Moon Poya Program will be held on the Sunday, April 06th, 2014, from 7:30 am to 5:30 pm at the Georgia Buddhist Vihara. We invite you all to join the program. 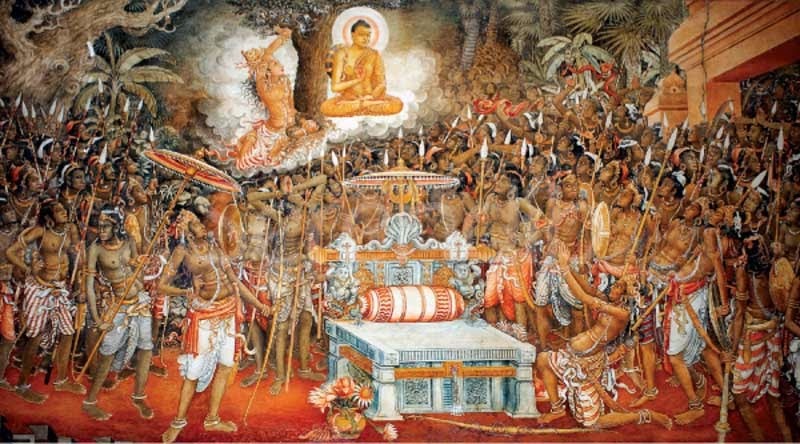 Bak Poya Day commemorates the second visit of the Buddha to Sri Lanka in the fifth year of his Enlightenment in order to reconcile two local chiefs Mahodara and Choolodara (Uncle and Nephew), who were about to wage a war due to a jewel-embedded throne. The history states that the Naagadeepa chaithya was built by placing this throne inside it. 3:00 – 3:30 pm: Break.